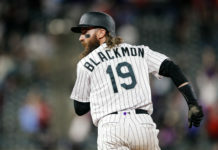 The Colorado Rockies were in a bit of a rough patch before Wednesday as four-straight losses to Miami and Tampa Bay put a damper on their 2-0 start to the season. 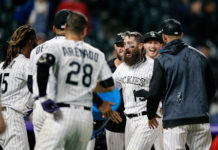 After a game-winning home run by Chris Iannetta helped get Colorado back into the win column on Wednesday, the Rockies are looking to build on that momentum in their home opener today at Coors Field. With a record of 3-4, the Rockies are looking to start off their home portion of the schedule right against a familiar opponent in the Dodgers. There are tons of storylines to follow in this series, so lets take a look at what to watch for from Colorado and Los Angeles this weekend. Will Colorado’s offense find life once again? The Rockies have only scored five runs in their last five games and three of those came in one contest, which was a loss in Miami. Colorado scored just two runs in three games against Tampa Bay, but one of those runs did get them a victory thanks to some tremendous pitching by German Marquez. If the Rockies do not hit this weekend, they might not be as lucky, facing a solid baseball team in the Dodgers. With a team average of just .197, the Rockies currently rank 26th in the MLB in that category. Colorado has also struggled with the long ball early on as they have just two home runs — Trevor Story’s and Iannetta’s — which is the third-lowest mark in the MLB. This weekend would be a great time for Colorado to finally find their offense against an opponent they will be battling it out with all season long. How will Tyler Anderson, Jon Gray and Chad Bettis fair against a formidable Dodgers lineup? All three of Colorado’s third, fourth and fifth starters have begun the season 1-0 record wise. Now, the stats are a bit deceiving as none of them got any run support in their first outings, but all three certainly need to have strong games this weekend if the Rockies are going to be successful. It all starts with Anderson, Friday, as he draws the start in Colorado’s home opener and he looks to bounce back from his last outing in Miami. Then we move to Saturday where Gray will be making his second start of the 2019 season against a superb pitcher in Buehler for the Dodgers. Gray and the Rockies are certainly going to have their hands full, which means he will have to pitch a strong game to keep Colorado in it if they can not get to Buehler at the plate. Bettis will round out the Rockies weekend on the mound and he is also looking to bounce back from an “okay” start in Tampa Bay. The Rockies are officially back on Sunday Night Baseball for the first time in well…a long time. It has been a long time since the ESPN crew has made their way to Coors Field to call a Rockies game; April 7, 2001 to be exact. In that game, the Rockies lost to San Diego 14-10, but did get a home run from pitcher Mike Hampton. That game also featured Rockies stars Todd Helton and Larry Walker, and this Sunday’s game will have a focus on new Colorado stars Nolan Arenado, Trevor Story and Charlie Blackmon. Playing on Sunday Night Baseball is a tremendous opportunity for the Rockies because it means one thing; they are getting noticed. Even with back-to-back postseason appearances, the Rockies were not granted a Sunday Night Baseball game at home either season. 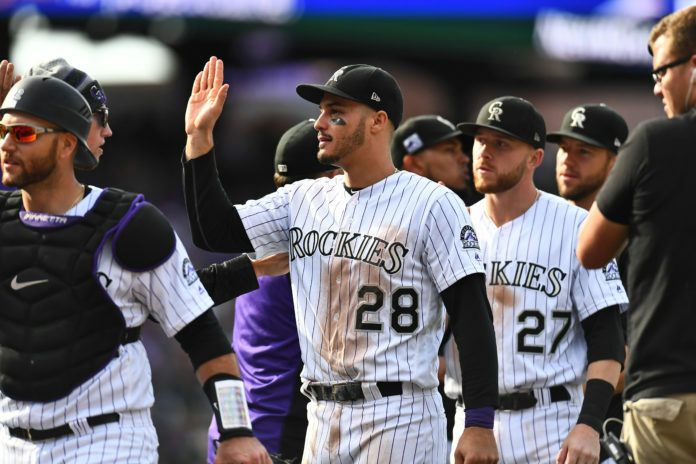 Having a nationally televised game so early on in the season means people are taking notice of what the Rockies are doing, which hopefully they put on full display Sunday night for the rest of the MLB world to see.